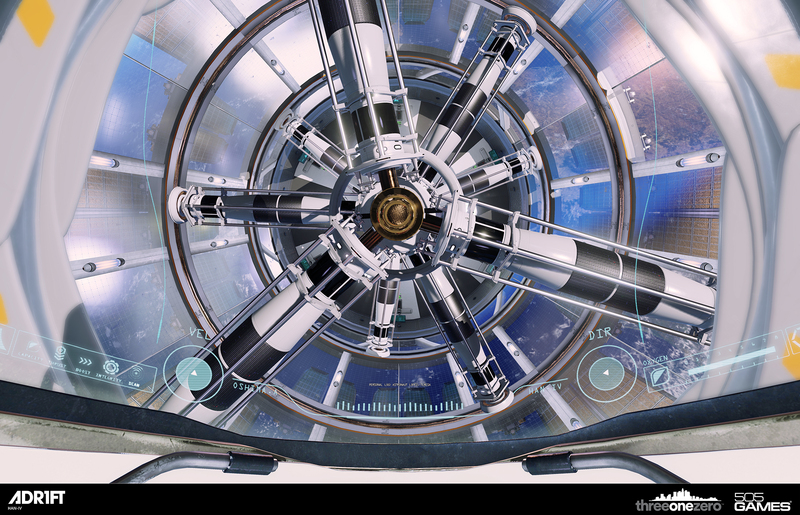 ADR1FT Could Be The Best PR For VR | "DESTROY ALL FANBOYS!" 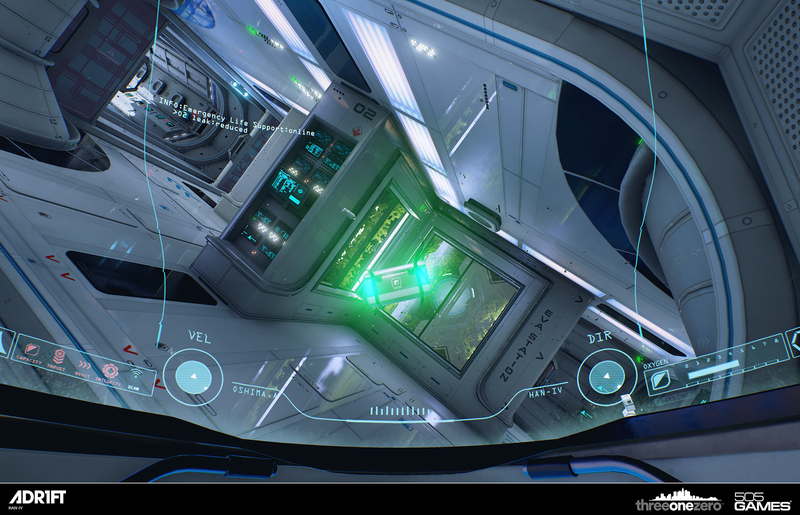 The glorious view outside (which you’ll be seeing from in and out of the wreckage) has also undergone an overhaul, now showing a darker Earth that adds a slightly creepier tone to the exploration elements. Despite this not being a high adrenaline shooter or action game, there’s a definite sense of tension and urgency as you make your way through the ruins discovering bits and pieces of your crew’s possessions. The definite sense of finality blends with a bit of mystery with each recording, photo or other piece of the bigger puzzle revealed. The somewhat random nature of gravity and the assorted objects floating about sometimes getting away or being overlooked mean some players will miss items on that first play through. It’ll certainly be interesting to see videos and FAQs that point out where items are and what information they hold, but it’s also a given that survival will be the instinct that overtakes many who pick up that controller. As for motion sickness? Nope, not a hair of it for this writer. I deliberately spent more time with those Rift goggles on just to see how long I could stand it and came away impressed. The sole caveat was having to slowly stand up and regain my footing after my weightless time because it truly does feel as if you’re off your feet in the game. The combination of no preset up, down or any other direction meant I had to rely on signage and the camera rotating to the “proper” position when interacting with air and repair units. 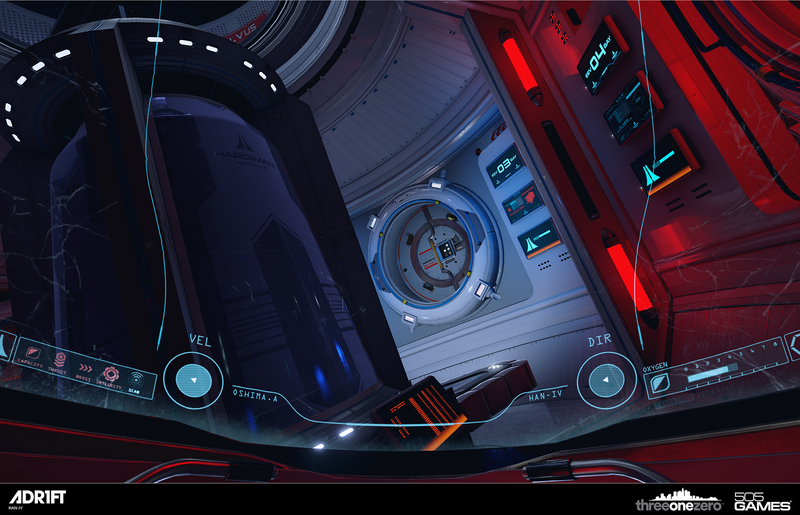 Other than that, the game relies on your own sight and head tracking when using the Rift. 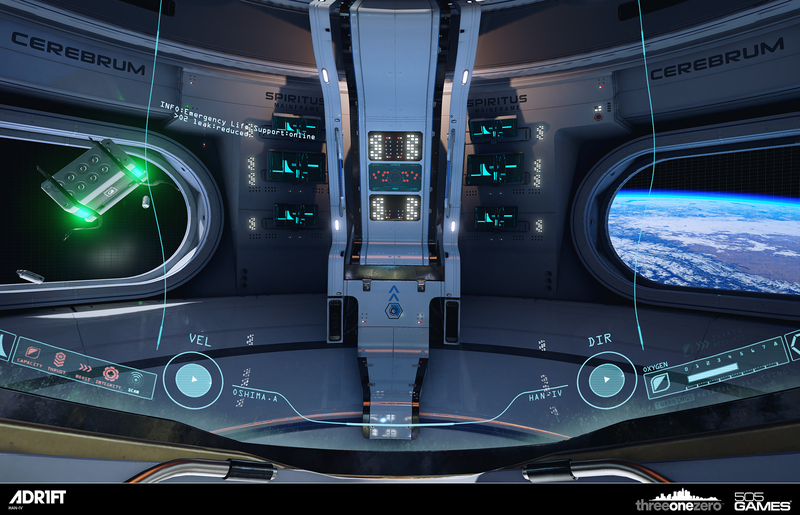 The console and Rift-less versions play more traditionally but can still be accurately disorienting until you see the beauty of how replicating zero gravity works for what’s here. That said, I’ll let the science geeks tackle the fun dissection of the game after they get to play it. I know they’ll be all over anything they find inaccurate, but I’d bet a dime they’ll have fun while they’re fiddling with those slide rules. 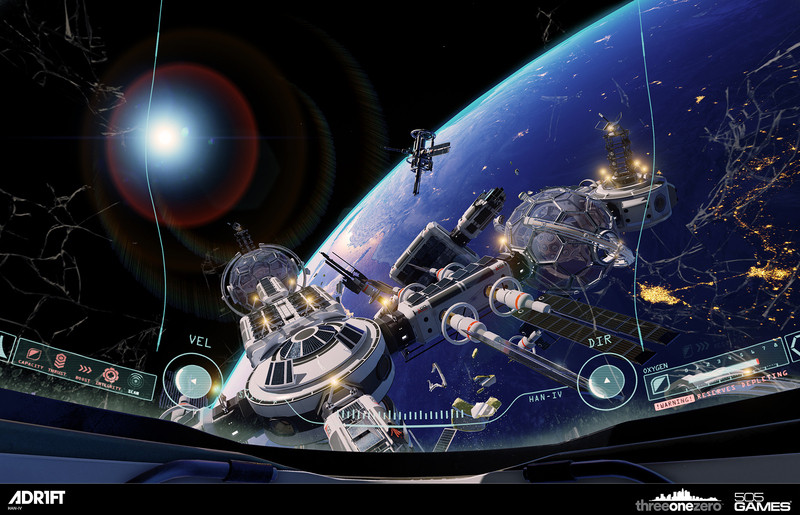 The game was initially set for a September 2015 launch, but has been delayed until Q1 2016 in order to get if fully ready for Rift and/or HTC Vive users (and perhaps Sony’s Morpheus or whatever it’s going to be called). 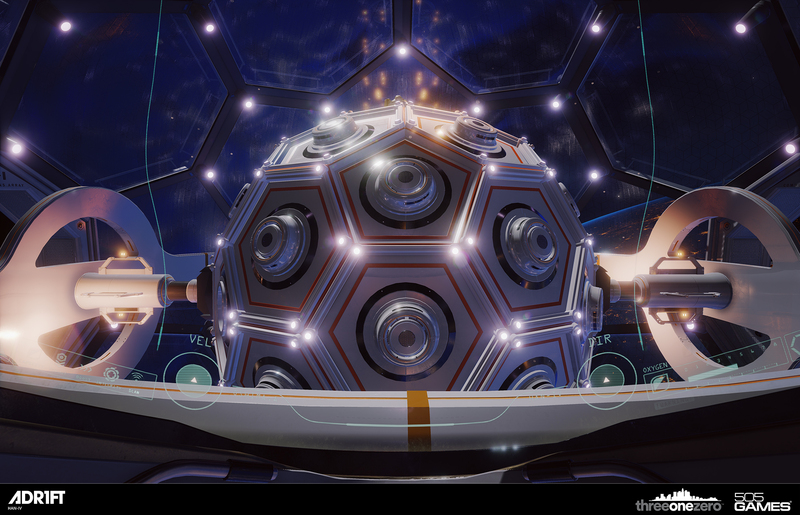 While no date on any of that VR hardware is 100% locked down, it’s clear from the demo that Three One Zero intends their first game to be a showpiece made to assure VR isn’t just a big expensive gimmick du jour. Probably the best thing about the game is its non-violent approach to problem solving means it’s suitable for just about anyone who can hold a controller. 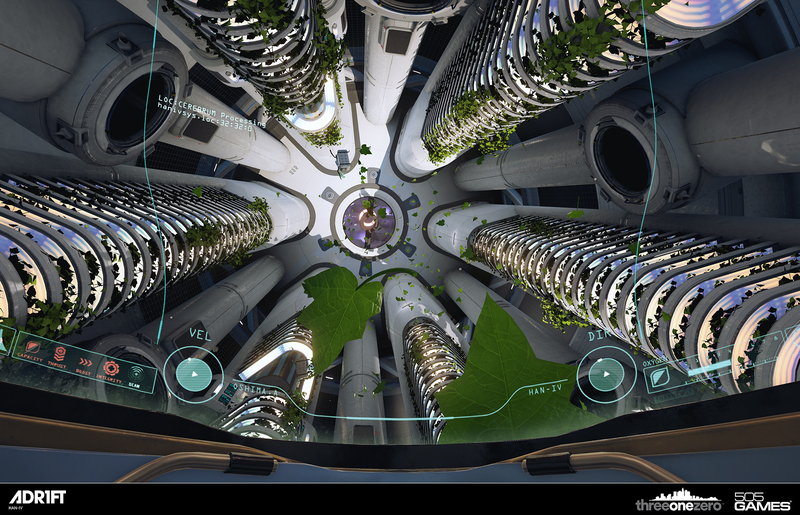 Well, provided they’re not afraid of heights, truly w-i-d-e open space(s) and the feeling of weightlessness provided by VR. It’s also a certainty that both VR proponents and adherents to less peripheral-enabled gameplay experiences will be debating which version of the game is “superior”. But let’s lay a bet that Three One Zero cares more that you’re buying their gorgeous work in any form it comes in. 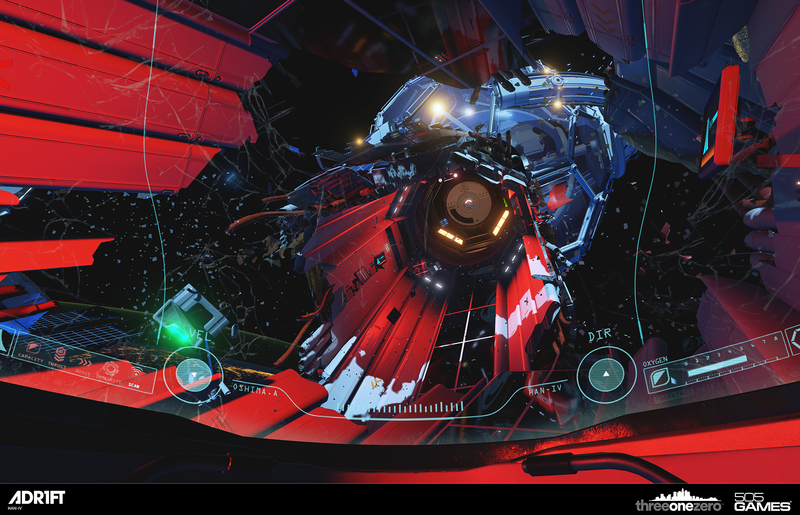 This entry was posted in 2015, Commentary, DAF, Features, Updates and tagged 2016, 505 Games, ADR1FT, Delays, Digital Games, Gallery, In Development, Indie Games, Microsoft, Oculus Rift, PC, PC Games, Playstation Network, PSN, SCEA, Screenshots, Sony, STEAM, Three One Zero LLC., Valve, VGA 101, Videogame Appreciation 101, Videogame Trailers, Virtual Reality, VR, Xbox Live, Xbox One, YouTube by geelw. Bookmark the permalink.